As well as buying your fish from us, customers can now buy the food we feed them on! 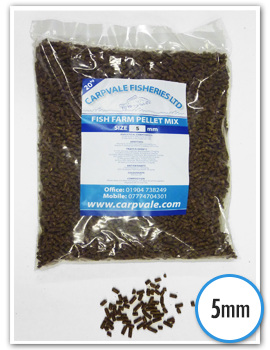 Our pellets offer the highest quality food for your fish. 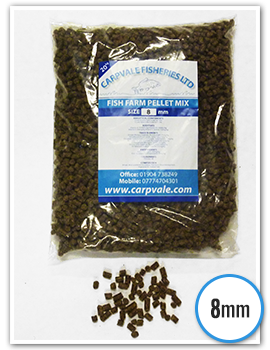 Pellets are available in 3mm, 5mm, 8mm and 10mm sizes. All pellets come in 20kg sacks.